Plus how to get involved with upcoming community build days. 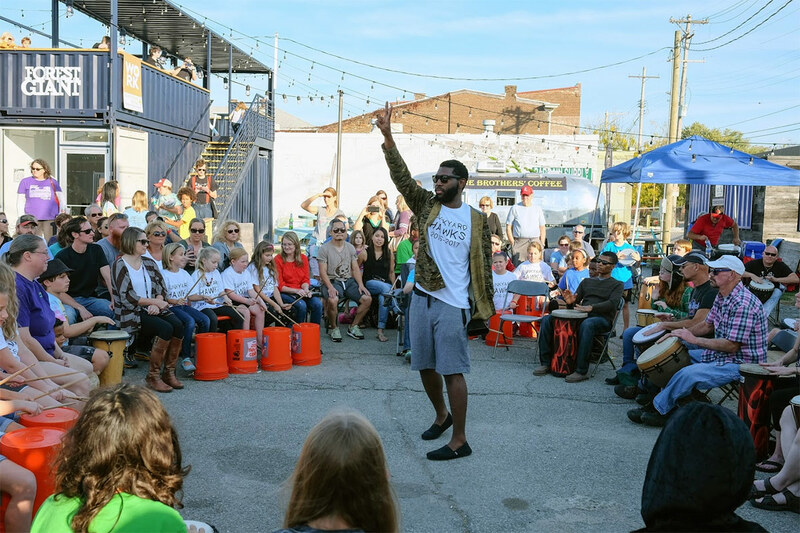 ReSurfaced is coming back to Liberty and Shelby streets for another round of pop-up events and experiences this summer. The experiment in creating place from thin air has adjusted course after last year’s iteration and is ready for a new season with an updated look. The first iteration of Liberty Build centered around a communal beer garden space filled with wood chips, Piuma said. “We made it too flexible last year.” As a remedy, ReSurfaced plans smaller seating areas and a revised layout. 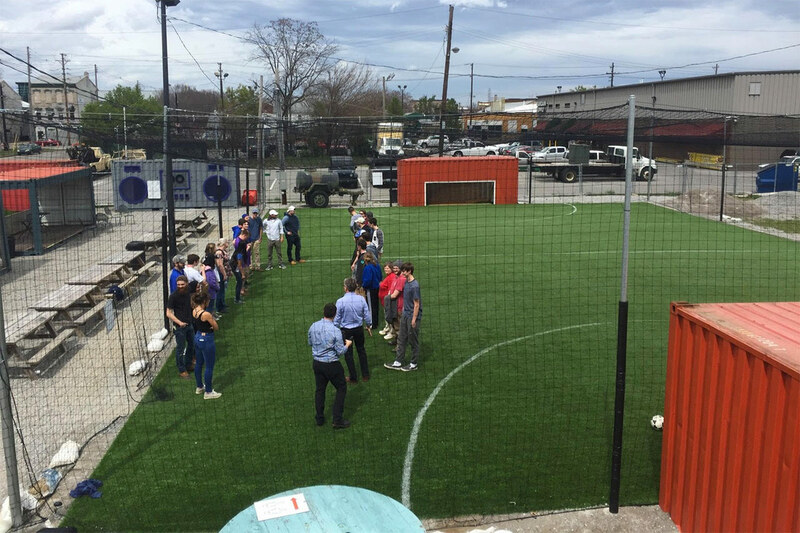 City Collaborative is working with landscape architects Patrick Henry and Louis Johnson (both CC board members) and land-arch students from the University of Kentucky on the details. Mark Renz and Pat Strehl from Luckett & Farley have also volunteered structural engineering technical assistance. “We’re working right now on a greening plan,” Piuma said. 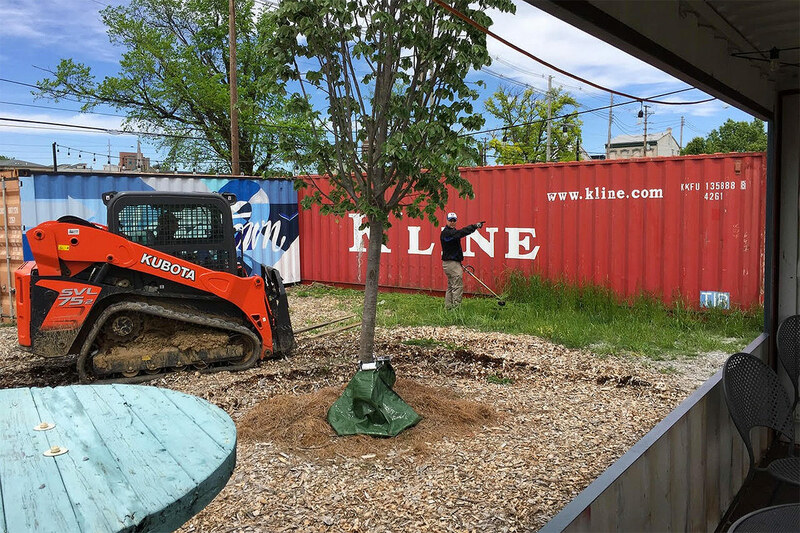 “We want to create a space where families can walk in and feel like a pop-up community center.” Already, volunteers helped install several large trees, but Piuma hopes for more. 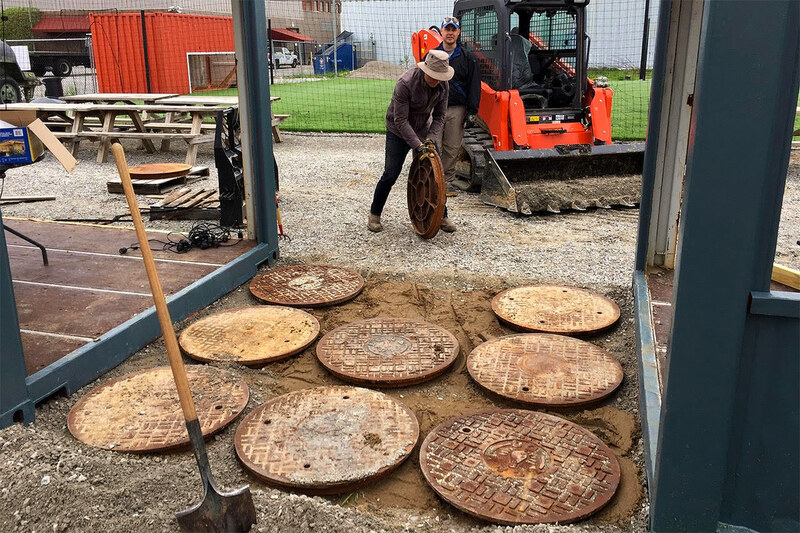 “We’d like to get some donations for plant material.” Ideas include building a rainwater catchment area to store runoff, adding a “no-mow” demonstration garden, and breaking up asphalt on the lot. Another addition this year are two shipping containers sponsored by Brown-Forman’s Coopers’ Craft bourbon. 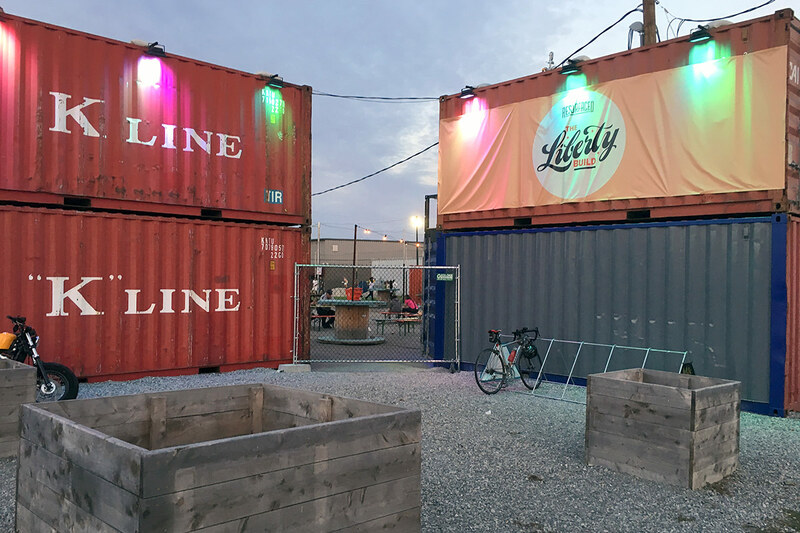 The blue containers, matching the bottles’ labels, include a bar and retail space surrounded by a wooden deck. As demonstrated in previous years, programming at ReSurfaced goes a long way towards driving crowds. And Piuma expects this year to be no different. Not every event will focus on beer, but food is a different story. “There’s always going to be food there,” Piuma said. “I think we’re going to work more with food trucks to get augmented food.” The familiar taco challenge and fried chicken throwdown will also make a return. To that end, the team hopes to add signage and visibility that draw more people from crowded East Market Street south to ReSurfaced. ReSurfaced pledges to be open to the public on the first and third weekends of each month beginning in June. It will also take part in First Friday Gallery Hops with shows inside Forest Giant’s gallery shipping containers. There’s still plenty of work left at ReSurfaced: The Liberty Build. If you’d like to get involved, there are several Community Build Days coming up where you can help shape the city’s summer pop-up. The first is this Saturday, April 29 from 10:00a.m. till 2:00p.m. 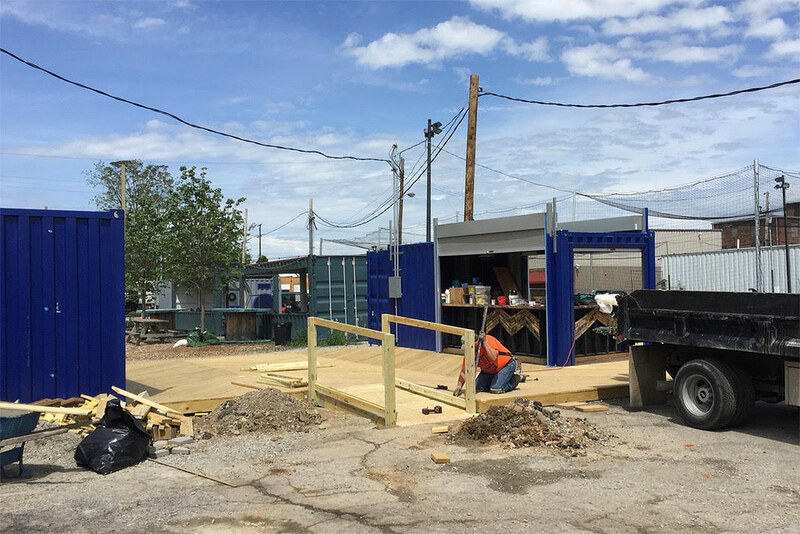 Additional Community Build dates have been set for Saturdays on May 13 and May 20. If you’d like to attend, wear work clothes and sturdy shoes—and drop Patrick a line so he can plan the work load. So when’s the grand opening? It’s coming up fast. Piuma said ReSurfaced will throw open its gates to the public on Friday, June 2 and Saturday, June 3. ReSurfaced has the Liberty Build site until the end of the year, and Piuma said they plan to be open at least through October.